﻿ The Rat Pack - Rat Pack Tribute to Frank Sinatra, Dean Martin and Sammy Davis Jr. Welcome to 'THE RAT PACK' website. 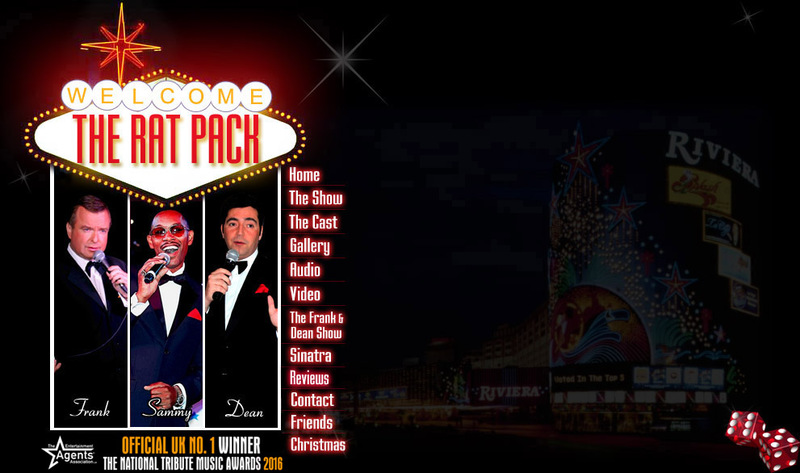 The hit tribute show 'THE RAT PACK' perfectly captures not only the wonderful music and comedy of the original legends, but also the remarkable personalities of the stars who truly ruled the entertainment world.